Celebrity chefs are being asked to help persuade consumers to buy all sizes of eggs. 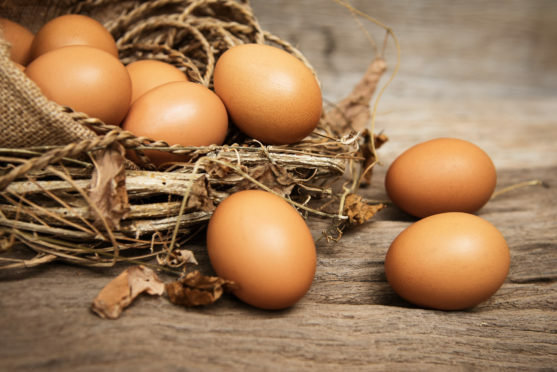 According to the British Free Range Egg Producers Association (BFREPA), shoppers have developed something of an “obsession” with large eggs – leaving producers with the problem of what to do with the 45% of eggs which are classified by retailers as being medium or small. The association wants people to understand that hens naturally lay a range of sizes and that there’s excellent protein and good value for money in buying a box of medium or mixed weight eggs. Having already written to Mary Berry, Jamie Oliver, Rick Stein and Raymond Blanc, urging them to remove egg size references from their recipes, the BFREPA is asking 50 celebrity chefs and high-profile bakers to publicly support the message that bigger isn’t always better when to comes to eggs. Picking up on the same theme, NFU Scotland poultry committee chairman, Robert Thompson, said: “It might seem obvious to some, but a lot of the general public will not be aware that hens lay a range of different sized eggs. “It is important that we educate them to the importance of buying medium eggs. at such a competitive price that alternative markets often had to be found for the medium and small sizes. “This has been a growing problem over the last year or so,” he said, adding that selling medium and small eggs into wholesale or processing markets has “huge implications” for farmers. Following on from BFREPA’s celebrity-based initiative, NFU Scotland confirmed it will also be running an egg size campaign in the coming weeks.